Superb construction, sound, and features. The Marshall 1960 Speaker Cabinet puts out beautiful tone at any volume. The addition of an impedance (4 or 16 ohm) mono/stereo switching mechanism has transformed the "industry standard" 1960 into the ultimate speaker cab. 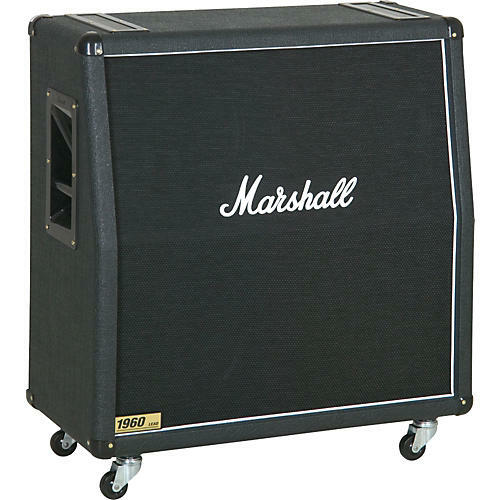 These 280W Marshall cabs are loaded with Celestion Vintage speakers.